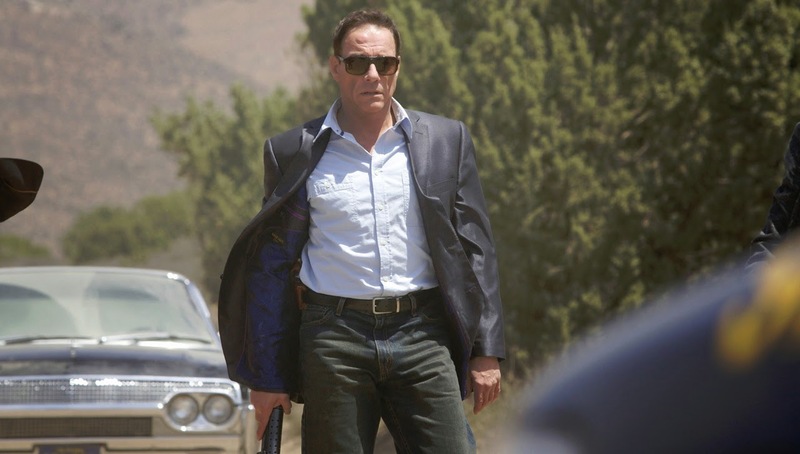 Jean-Claude Van Damme tries something different in Swelter, an action-come-crime-thriller in the vein of Reservoir Dogs. Also on-board are the ever-brilliant Alfred Molina and Dallas heartthrob Josh Henderson. Helmed by Keith Parmer, the film centres on a Las Vegas robbery gone wrong. The premise and setting suggest something slightly different from the usual JCVD-fare, which definitely has us intrigued. We're also eager to see the action titan on-screen with Molina and Henderson - albeit Swelter seems like it uses the three stars in supporting roles within its ensemble cast - so Van Damme fans be alert that the action titan does not take centrestage here. Swelter is hits DVD/BR and VOD on August 12 (USA). European release information to follow.